The Tri-Band MCID is a multi-spectral combat ID beacon for covertly marking blue force personnel and vehicles. With a low-profile design, it matches the shape of a helmet for secure attachment and can also be mounted to MOLLE vests, packs or vehicles. Versions are available with mid-wave infrared (MWIR), near infrared (NIR) and short wave infrared (SWIR) or MWIR, NIR and Visible (VIS). MWIR detectable at night at ranges up to10 nautical miles by typical aircraft imaging pods. Covert Ops – Thermal and SWIR modes are undetectable by eye, NVGs and commercial cameras. Low-profile toggle switches provide individual control of thermal, SWIR and NIR emitters. 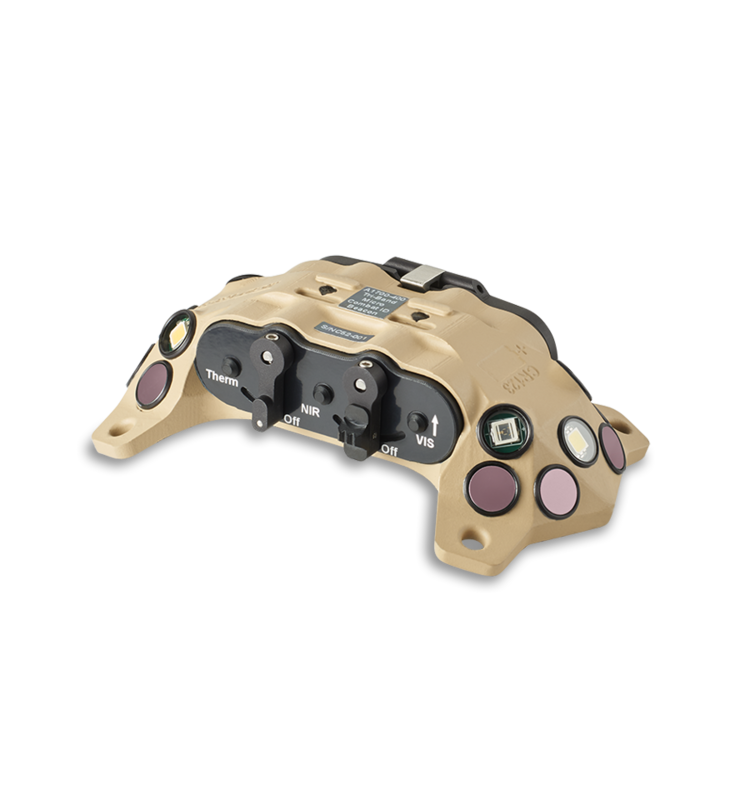 Multiple MCIDs can be synchronized to flash in unison and can be programmed for custom flash patterns and power output.